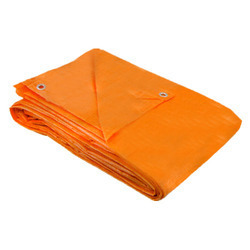 We are a leading Manufacturer of hdpe tarpaulin for transportation from Ahmedabad, India. We are one of the prominent manufacturers of HDPE Tarpaulin for Transportation. Our HDPE tarpaulin is used to prevent the material from getting damaged from water and humidity. Our offered range is manufactured using high-grade raw material and advanced technology in compliance with the international quality standards. These tarpaulins are highly appreciated for their superior quality and durability.